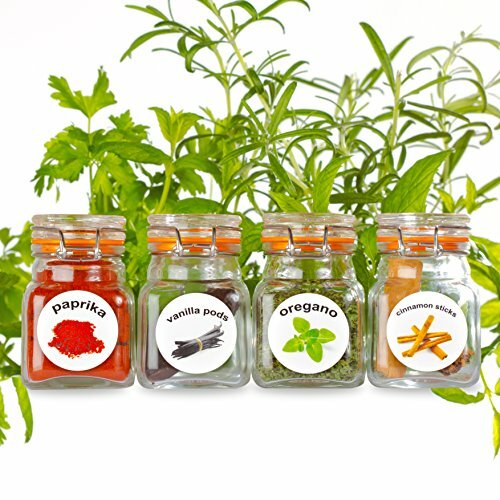 50 Washable Plastic Herb and Spice Jar Labels. Colourful, Attractive Pictures of 50 Herbs And Spices. Product prices and availability are accurate as of 2019-04-18 22:15:49 UTC and are subject to change. Any price and availability information displayed on http://www.amazon.co.uk/ at the time of purchase will apply to the purchase of this product. We are presently offering the sought after 50 Washable Plastic Herb and Spice Jar Labels. Colourful, Attractive Pictures of 50 Herbs And Spices. at a brilliant price. 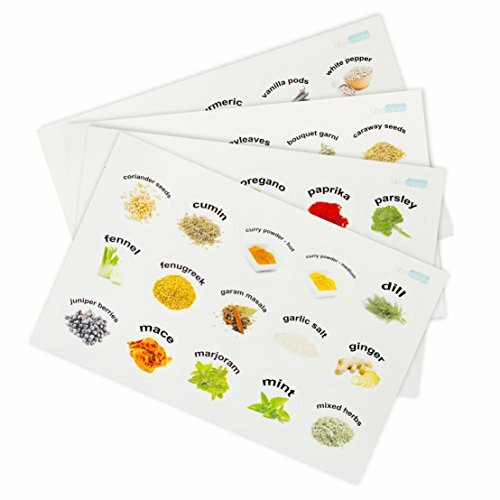 Don't pass it by - buy the 50 Washable Plastic Herb and Spice Jar Labels. 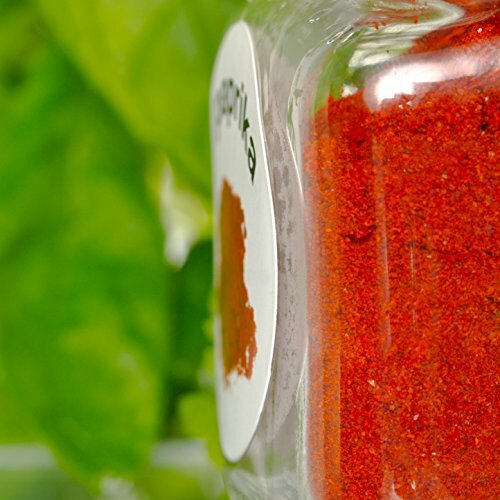 Colourful, Attractive Pictures of 50 Herbs And Spices. here now! Spices: allspice, basil, bay leaves, arrangement garni, caraway seeds, cardamom, cayenne pepper, chervil, chilli powder, chillies whole, chives, cinnamon sticks, cinnamon ground, cloves, coriander ground, coriander seeds, cumin, curry powder - medium, curry powder - hot, dill, fennel, fenugreek, garam masala, garlic salt, ginger, juniper berries, mace, marjoram, mint, combined herbs, mustard seed, nutmeg, oregano, paprika, parsley, peppercorns, pickling spice, rosemary, saffron, sage, sea salt, sesame seeds, sorrel, star anise, tamarind, tarragon, thyme, turmeric, vanilla pods and white pepper.